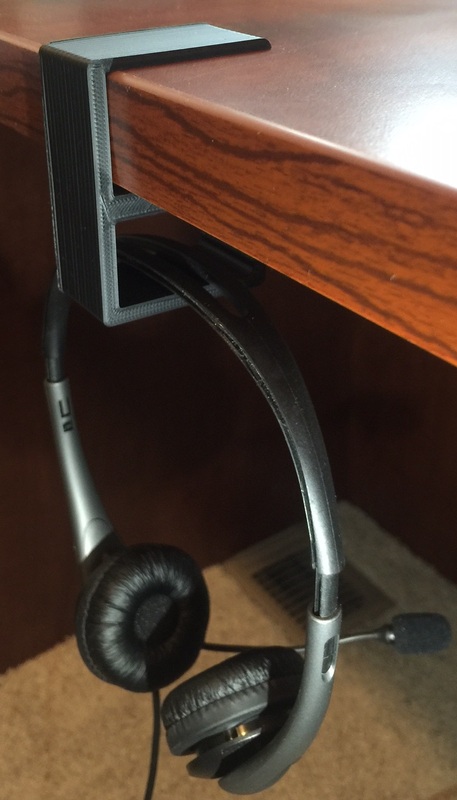 I recently found a 3D model on Thingiverse for an under-desk headphone holder. Unfortunately, it was for a 3/4″ desk, and my desk is 1″ thick, so I quickly threw together my own version in FreeCAD. I’ve uploaded it to Thingiverse if you would like to download the model. This made a nice change from my usual designs because it is not round! 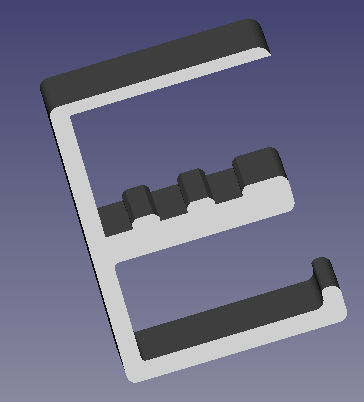 I am getting a bit more comfortable with using FreeCAD, although there are still definitely some things I need to learn (like how to hide non-independent faces). All in all, it took about 30 minutes to create the model, and then about 2 hours to print (fine quality in ABS). This actually brings up something that has been bothering me about models in general – the lack of parameterization–ideally, a model would have settings for items that might change (such as the desk height) and that could be specified before printing. I realize that this would make creating models much more complex, but it would also make them much more flexible. I guess I need to start researching the formats to see what might be possible (maybe via a pre-parse operation? ).